This is Stoic & Pariah's first ever tutorial. Yes! 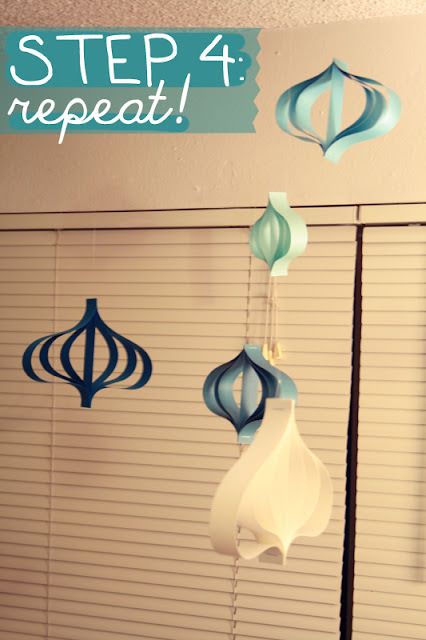 In all honesty, I made these decorations for a Hanukkah party, but I figured they're versatile enough that you guys could make 'em for New Year's, too! or, whatever else you wanna make them for. I'm thinking of leaving these up all winter, 'cause they make me so happy, haha. Okay. 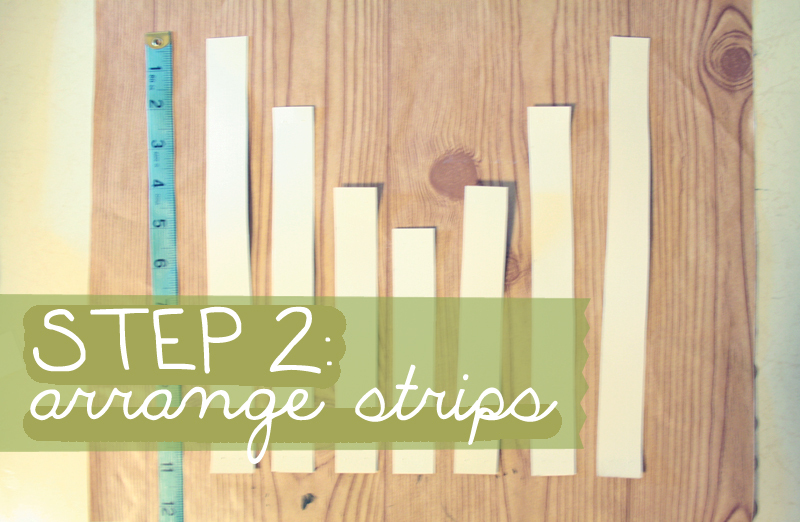 so first, you'll wanna cut your sheet into seven strips. That 6-inch strip is going to be the center strip of your ornament. Which brings me to the next step! keeping them aligned at the bottom edge. With one hand, pinch the aligned ends together so they don't get jostled. With your free hand, staple those suckers together! 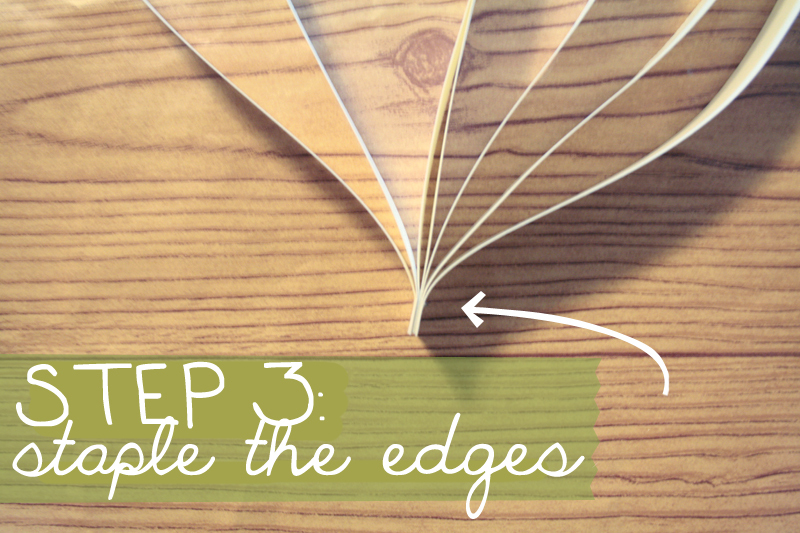 You'll want the staple to go in about 1/3 of an inch away from the edge, but you can staple it further in if you like it more pointy at the top! 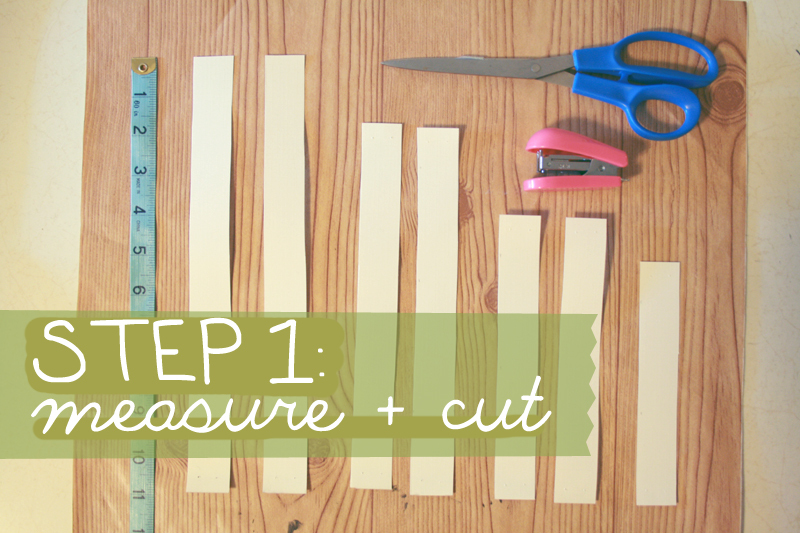 After that first staple, you'll want to align the edges on the other side. Kind of a tricky endeavor, but you'll get the hang of it. Then staple that side too. and, you're done! SO EASY TO MAKE, and super cheap, too! I personally like the ornaments to keep a sort of monochromatic color scheme, but you can switch up the colors of the strips within each ornament. I've seen some that use those decorative sheets of scrapbook paper, and it turns out pretty sweet. You can also vary the sizes. Just make sure the largest strip is two inches bigger than the second largest strip, which is 2 inches bigger than the next size down, which is one inch bigger than the middle strip. Uhh... you might need to read that sentence about ten times before it makes any sense, haha. 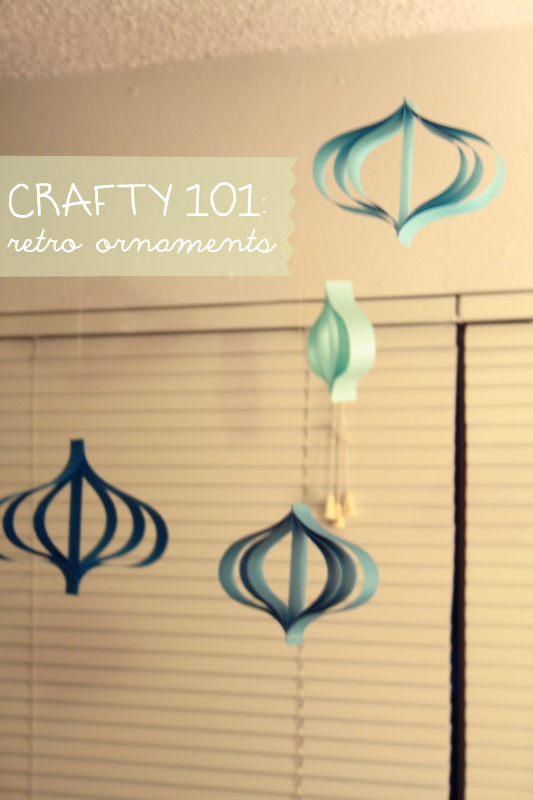 The most fun part, I think, is hanging them all from the ceiling with fishing line! Anyway, yes. Have fun with this!